Los Angeles (CNN) Patricia Krenwinkel, a Charles Manson follower convicted in the Manson family murder spree and the longest-serving female inmate in the California prison system, will be up for parole consideration on Thursday. Krenwinkel, 69, was convicted of seven counts of first-degree murder in the August 1969 attacks that left seven people dead. 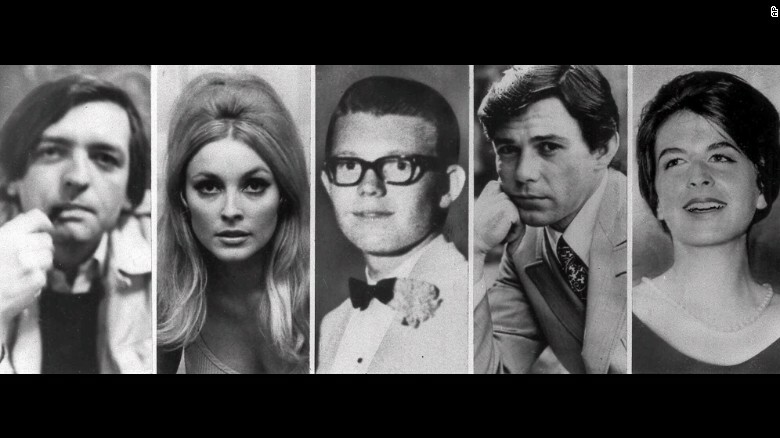 Among the victims was pregnant actress Sharon Tate, who was married to director Roman Polanski, Folger Coffee heiress Abigail Folger, and celebrity hairstylist Jay Sebring. The crimes captivated people during a turbulent time in the nation's history. Prosecutors say Manson hoped to spark a race war with the grisly murders. 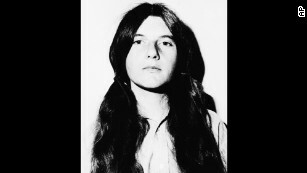 Patricia Krenwinkel, 21, after her arrest in December 1, 1969. Thursday's parole hearing is a resumption of a December 2016 meeting, which was suspended after Krenwinkel's attorney claimed that his client was a victim of "Intimate Partner Battery," often referred to as "battered wife syndrome," by Manson. The break allowed for an investigation into the claim. Krenwinkel's attorney, Keith Wattley, declined to predict how the panel will react, but said he is encouraged that they are considering the abuse issue. "There is no new evidence, no new allegations," he said. "It's just that this time I asked the panel to consider the psychological and physical abuse. The fact is that the board had understood the influence" with other members of the Manson group. Family members of the victims -- Sharon Tate's sister, Sebring's nephew and the grandson of Leno and Rosemary LaBianca -- plan on fighting a parole recommendation. Debra Tate dismissed the claim that Krenwinkel was abused, telling CNN, "She could have cut and run any time. She did it (the murders) because she enjoyed it." Those killed at the home of Roman Polanski. From left, Wojciech Frykowski, Sharon Tate, Stephen Parent, Jay Sebring and Abigail Folger. The next night, Rosemary and Leno LaBianca, a wealthy couple who lived across town, were stabbed to death in their home. Tony LaMontagne, the grandson of the LaBiancas, told CNN that he attends these parole hearings to support his grandparents, "but the hearings revictimize us," by having to listen to the details of the crimes. -- She has been incarcerated for 47 years. 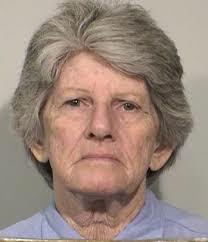 -- Krenwinkel was sentenced to death in 1971, but a year later the California death penalty was ruled unconstitutional and her sentence was commuted to life. The death penalty has since been reinstated. -- Krenwinkel has been denied parole 13 times. -- On the first day of the killing spree, she pursued and stabbed Folger 28 times, Krenwinkel said in court testimony. She later complained her hand hurt from the stabbings, prosecutors said. 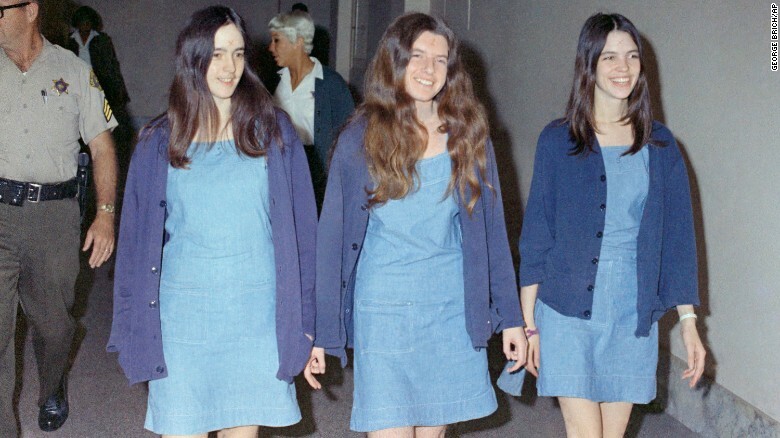 Susan Atkins (left), Patricia Krenwinkel (center) and Leslie Van Houten (right) walk to court in 1970. -- Krenwinkel testified that she stabbed Rosemary LaBianca on the second night while LaBianca pleaded for the life of her husband, Leno. Krenwinkel said she later scrawled "Death to Pigs" on the wall with the blood of Leno LaBianca. 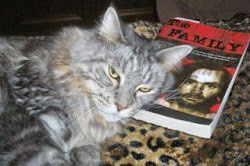 -- Krenwinkel claims she met Charles Manson when she was a 19-year-old secretary, and has said that she both feared and loved him. -- Because she was 21 years old at the time of the crimes, she now qualifies for youth parole consideration, based on a 2016 law. -- Convicted Manson followers Leslie Van Houten and Bruce Davis were recommended for parole. Gov. Jerry Brown denied them both. -- If Krenwinkel is recommended for release, Brown has up to 150 days to make a decision. I would love to hear what Pat is gonna say about being "battered".